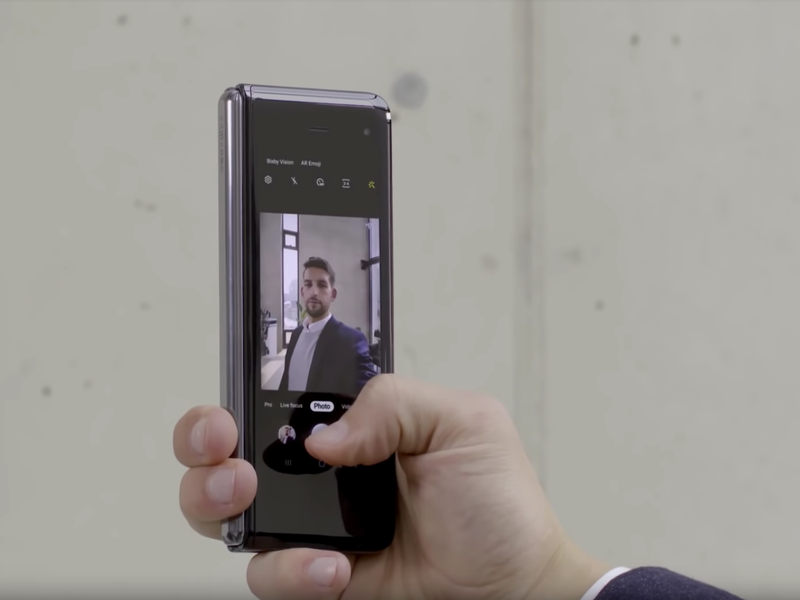 Samsung has finally provided a closer look at the $1,980 Galaxy Fold ahead of its April 26 launch. While Samsung's presentation answered many questions, such as how the device worked, what it looks like, and how much it will cost, it left an even bigger one: What is it like to actually use the Galaxy Fold? 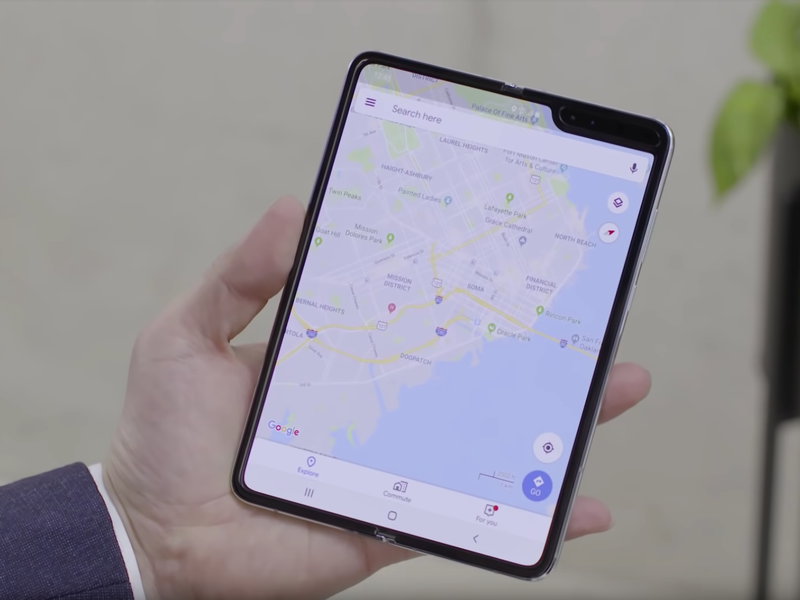 With its 7.3-inch tablet screen and 4.6-inch phone screen, the Galaxy Fold's form factor is different than any other smartphone available today. 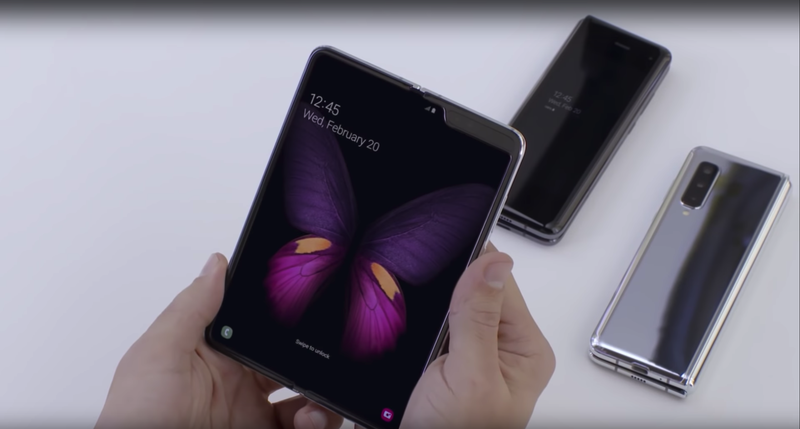 Despite this, the Galaxy Fold felt surprisingly natural to use, even with one hand. When unfolded and being used in tablet mode, the device's screen features a 4:3 aspect ratio, making it ideal for reading, watching video, and playing games - particularly when held in landscape mode. There's also virtually no bezel when in tablet mode, which made the experience of playing mobile games or watching video feel especially immersive. The Galaxy Fold, like some of these older Samsung phones, is just as unique. When folded, the Galaxy Fold feels noticeably thicker, longer, and surprisingly skinnier than any other modern smartphone I've used. You can also very faintly see the crease in the center of the screen when using the phone in tablet mode, although I didn't find that it distracted from the experience in any way. The company says the hinge is durable enough to withstand 200,000 folds and unfolds, which should mean that it could last for up to five years if you unfold it 100 times per day. But otherwise, there's no learning curve. Running three apps at once on screen is as simple as swiping in from the right side of the screen and choosing the app you'd like to launch. The Galaxy Fold feels more like a "phablet" than any other smartphone I've used. Samsung popularized the term "phablet" with its line of Galaxy Note smartphones, which it launched in 2011. At the time, that term referenced smartphones like the Note that had larger screens than the average phone, effectively allowing them to double as a tablet. But that description feels more relevant to the Galaxy Fold than any other device before it.